Heart disease is the leading cause of death in the U.S.—so it’s natural for our heart health to become a more pressing concern as we get older. This can involve learning the symptoms of a heart attack, the steps needed to learn how to prevent a heart attack, or even investigating what causes a heart attack in the first place. I understand this information can be intimidating to look at, especially since it has a surprisingly layered concern. Take for example heart disease. This condition is the leading killer of women over the age of 60—but this statistic hides a strange discrepancy. Did you know that women are significantly less likely to die from heart disease than men? To learn the best ways to take care of your heart well into your golden years, it will help to understand a bit more about how your ticker, well, ticks! The human heart is an organ made of many different parts and chambers. Each part either receives or delivers blood throughout your body. If blood flow to a part of the heart becomes blocked, that section’s muscle becomes damaged and cannot perform properly. Since the heart muscle is not working, blood flow to another part of the body is thrown off-balance. In addition to being painful, nauseating, and exhausting, a heart attack can lead to heart failure (where the heart cannot pump enough blood to the rest of the body) or cardiac arrest (where the heart itself stops working). Causes of heart attacks are usually related to coronary artery diseases, blood clots, or spasms caused by certain drugs. Risk factors include smoking, diabetes, high blood cholesterol, obesity, and excessive alcoholism. 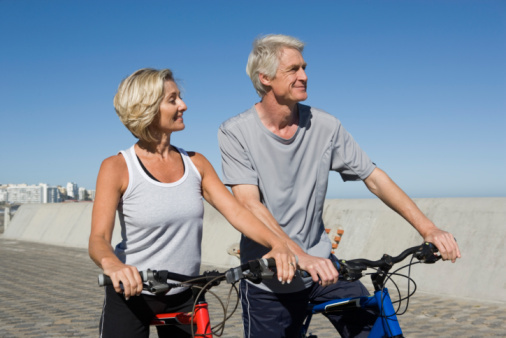 Age is one of the more significant risk factors as well, along with genetics. Although women are more likely to experience heart attacks without having risk factors, men are more likely to experience heart attacks overall, along with other heart diseases. The exact reason for the lower heart disease rate among women is thought to be linked to estrogen. Estrogen, the female growth hormone, affects almost every part of the body to some degree. For the cardiovascular system, the effects are a mix of benefits and drawbacks. Estrogen has been linked to increased HDL cholesterol levels (the good kind), lower LDL cholesterol levels (the bad kind), and various changes that both increase and decrease the risk of blood clots and improve blood flow. The idea that estrogen protects women from heart disease is supported by statistics that show how postmenopausal women have increasing rates of heart disease, with the risk rates becoming equal to that of men around age 65. But what happens after menopause? HDL cholesterol levels drop and LDL cholesterol levels rise—which is seen as additional proof. Unfortunately, this link between estrogen levels and heart disease risk, while it seems simple on the surface, is actually not as clear as previously thought. One example is in the use of hormone replacement therapy. Since women have higher rates of heart disease following menopause and the loss of estrogen; why not give them estrogen pills? As recently as 2005 it wasn’t uncommon for home replacement therapy to be prescribed to almost all women undergoing menopause. However, research conducted from as early as the 1990s have consistently shown that hormone replacement therapy either had no effect, or the exact opposite effect. In fact, in a 2002 study conducted by the National Heart, Lung, and Blood Institute, the hormone replacement therapy was stopped early because the women taking the hormone replacements showed such significant increases in breast cancer, heart attack, stroke, and blood clot risks. The weird thing though, is that despite the apparent ineffectiveness of hormone replacement therapy, and with heart disease rates evening out after menopause, women are still less likely to die of a heart attack or heart disease than men. A recent study published this past week in the <em>Journal of the American Heart Association</em> found that women still have better survival rates than men of the same rate. Caucasian women who went through natural menopause had a 55% reduced risk of heart attacks compared to Caucasian men; and African American women who were postmenopausal had a 31% reduced risk compared to African American men. Dr. Catherine Kim, an associate professor of medicine at the University of Michigan and the leader of the study, hasn’t been able to explain her findings. The most obvious explanation is the lingering effects of estrogen even after the body’s hormone levels drop, but this doesn’t explain why hormone replacement therapy won’t work. Dr. Kim’s findings didn’t show that the risk increased the further the women were from menopause (which would be expected if lingering estrogen effects were the cause). Kim is also at a loss to explain the racial differences. In the end, the only true option for reducing the risk of a heart attack or heart disease is to live a healthy lifestyle. 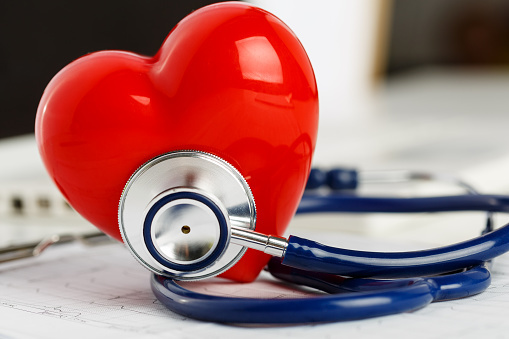 Quitting smoking, eating right, avoiding high cholesterol foods, limiting the amount of alcohol you drink, and exercising regularly are all ways to improve your heart health and reduce or prevent a heart attack. While lifestyle changes, especially so late in your life, can seem daunting, it is a fully achievable goal. Talk to your doctor about medical and lifestyle changes you can make to reduce your risk of heart disease. If you have diabetes—another risk factor—ask about changes you can incorporate to make managing the condition easier. For additional ideas, you can also look at some of Doctors Health Press’ own articles on blood pressure, cholesterol, diabetes, and heart health. “Estrogen & Hormones,” Cleveland Clinic web site; http://my.clevelandclinic.org/services/heart/prevention/risk-factors/estrogen-hormones, last accessed July 10, 2015. “Menopause and Heart Disease,” American Heart Association web site; http://www.heart.org/HEARTORG/Conditions/More/MyHeartandStrokeNews/Menopause-and-Heart-Disease_UCM_448432_Article.jsp, last accessed July 10, 2015. 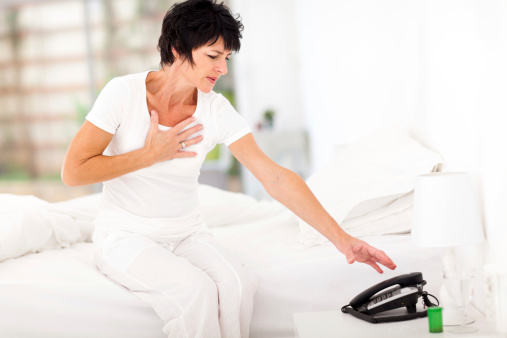 “Menopausal Women at Lower Heart Risk Than Men of Similar Age,” HealthDay web site, July 1, 2015; http://consumer.healthday.com/women-s-health-information-34/estrogen-news-238/menopausal-women-at-lower-heart-risk-than-men-of-similar-age-700974.html. “Women and Heart Disease,” WebMD web site; http://www.webmd.com/heart-disease/guide/women-heart-disease, last accessed July 10, 2015.